It makes sense for anyone with a pension to have a desire to keep it. Your pension is an investment fund that you have been contributing to throughout your working life. You deserve it. That is why it should be comforting to know that if you hit financial hardships, your pension is safe when you file for bankruptcy. In fact, there are bankruptcy laws in place designed to protect pensions and other retirement plans. Retirement plans and pensions can be broken down into ones that are not included in bankruptcy and those that can be claimed as exempt. For the former category, certain retirement plans are designated as excluded from the bankruptcy estate. This means you technically do not have to claim them as exempt and you get to keep them. These plans include pension and retirement plans qualified under the Employee Retirement Income Security Act of 1974, educational Individual Retirement Accounts (IRA) under IRC 530(1)(b), deferred compensation plans under IRC 567, Government retirement plans under IRC 414(d), and tax-deferred annuity plans under IRC 403(b). It is important to note that you are still required to disclose your interest in the accounts on your bankruptcy schedules. Also, some attorneys still choose to mark them under your exempt property. Now, if your retirement plan or pension falls under the exemption category, you also get to keep it. When filing for bankruptcy you must choose if you are claiming state or federal exemptions. Most plans end up qualifying under both federal and state exemptions. Examples of these exemptions are qualified annuity plans under IRC 403, qualified pension, profit sharing and stock bonus plants under IRC 401 (including stock ownership plans), Roth IRAs under IRC 408A (up to $1,283,025), eligible defined compensation plans under IRC 457, IRAs under IRC 408 (up to $1,283,025), retirement plans for controlled groups under IRC 414, and retirement plans established and maintained by tax-exempt organizations under IRC 501(a). If you end up electing federal exemptions or in the event you do not qualify for state exemptions, you are entitled to claim an exemption for any right to get payments under any stock bonus, profit sharing, pension, annuity or similar plan or contract on account of disability, length of service, age or illness to the extent reasonably necessary for your support and/or the support of your dependents. While most will be able to keep their pensions through exemption or exclusion, there are a handful of retirement plans that may not qualify as such. These plans that may not qualify are plans that were improperly funded, that do not qualify as retirement plans under an identified section of the tax code, Employee Stock Purchase Plans (ESPP), plan funds that have been rolled-over or transferred into a new fund that is not in compliance with the tax code, an IRA inherited by someone other than a spouse, and plans that did not receive favorable determination from the IRS and are not in compliance with any of the identified tax code sections. 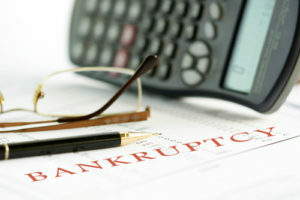 You should not fear that you will lose your life’s saving when filing for bankruptcy. While the process is involved and your questions are many, all you need to do is turn to Joel R. Spivack, Esq. for help. Located in Cherry Hill, Mr. Spivack understands the do’s and don’ts when it comes to filing for bankruptcy and protecting your pension or retirement plan. If you are thinking about filing for bankruptcy or are looking for answers to your questions then you should contact the Law Office of Joel R. Spivack today. Contact 856-488-1200 to set up a free initial consultation and begin discussing your legal options. ← Bankruptcy: What is the Homestead Exemption?